50. What does that number mean to you? Perhaps, you think of golden wedding anniversaries when you think of 50. Or maybe you think about how it’s the fifth magic number in nuclear physics. It represents the number of states in the U.S. It’s also a milestone achievement in the NHL: 50 goals in 50 games. In addition to those connections, fifty is important for word-of-mouth marketing. Why? 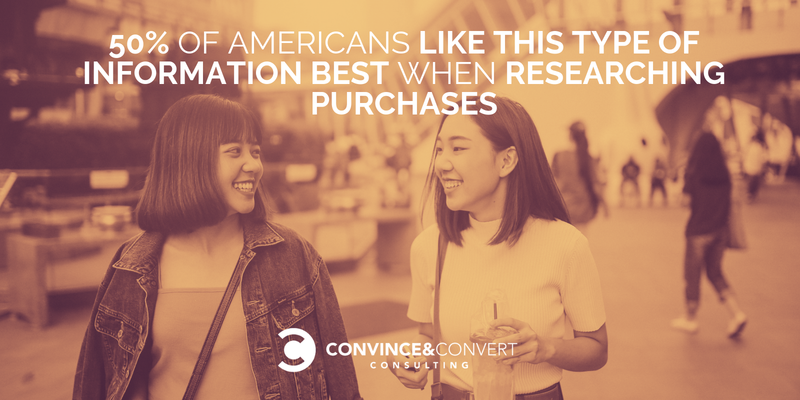 Because fully half of all Americans would choose offline or online word-of-mouth if they had to pick just one source of information when researching purchases. This is because we trust each other more than ever, and we trust businesses and organizations less. The global PR firm Edelman reports on trends in trust in its annual Trust Barometer. In 2017, it revealed the largest-ever drop in trust for institutions of government, business, media and NGOs. At the same time, “a person like yourself” became just as credible a source of information as a technical or academic expert and much more credible than a CEO or government official. These are the celebrities consumers trust. Are you surprised? Among the celebrities mentioned, Oprah was cited most often with 4% saying they would trust recommendations from her. 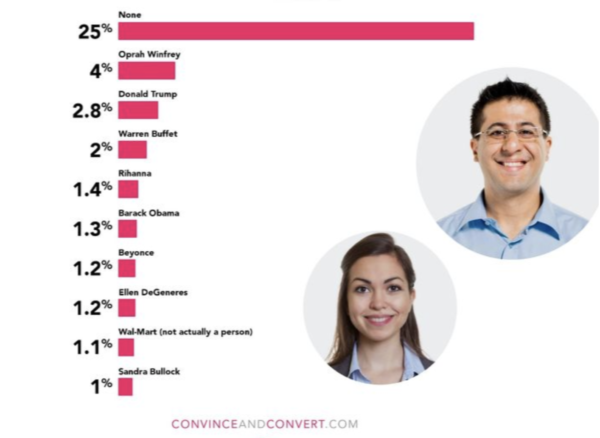 A stunning 285 different famous people were mentioned by just one respondent. According to a recent Engagement Labs survey, 19% of all purchases—or between $7 and $10 trillion in annual consumer spending in the United States—are driven directly by word-of-mouth. As much as 40% of all purchases are influenced by word-of-mouth. Digital consulting firm Cognizant found nearly half of us will pay a premium for products and services from companies we trust, but 57% of us will stop doing business with a company that has broken our trust. According to a Social Media Today survey, 86% of people say authenticity is important when deciding the brands they support and trust. Word-of-mouth is one of the most powerful ways to build trust, but less than 1% of marketers have a strategy in place to make it happen. That’s exactly why I’ve teamed up with my friend, Daniel Lemin, to write Talk Triggers. We can’t assume word-of-mouth will spontaneously materialize. Businesses need a purposeful differentiator that compels people to talk. We call this a Talk Trigger. You can read more about this idea when our book is released on October 3. Until then, get the entire and most recent word-of-mouth data available when you download Chatter Matters. Chatter Matters is a proprietary word-of-mouth report produced by Convince & Convert Consulting and the research firm, Audience Audit. It examines the word-of-mouth attitudes of 1,001 randomly selected Americans. The margin of error is approximately +/- 3.1%. Chatter Matters is a companion piece to my all-new book, Talk Triggers: The Complete Guide to Creating Customers with Word-of-Mouth.